epiphany ~ a moment of revelation which enlightens the mind and touches the heart. An epiphany is what I had a few years ago when I realized that the purpose of my life was to help people grow and reach their highest potential; and by helping others evolve, I knew I would be evolving too. That’s when the journey started, slow yet steady, from the sensational world of Advertising, towards the more spiritual dimension of learning about the power of the mind. I was surprised and intrigued by the realization that we very actively keep searching outside of ourselves for answers, solutions, inspirations, while all we really need to do is explore within. Not only is the latter a lot easier, but also a lot more empowering. The journey commenced with becoming a Master Practitioner of NLP (Neuro Linguistic Programming/Psychology) more commonly known as a Life Coach. Following that, came the specialization in Executive Coaching, which prompted me to leave my advertising account management job and move onto full time executive training focused solely on advertising. Then came the immensely enlightening Post Graduate in Clinical Hypnotherapy & Transpersonal Regression Therapy, and finally the energizing experience of Integrated Healing & Theta Healing. Of course the journey continues and the fulfillment multiplies exponentially with each passing day. 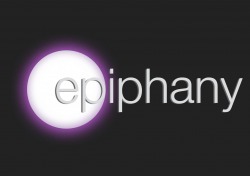 An epiphany is also what many of my clients admit to experiencing during the course of our sessions, as they discover their inner strengths, acknowledge & overcome deep-seated & self-restrictive barriers, while embracing new & empowering perspectives. The most important thing they all seem to learn from the experience is that people don’t get into this kind of therapy because they ‘need help’, they do it because they want to be the best that they can be, and are willing to take personal responsibility for removing the blocks and barriers from their path and ensuring that the path to success is smooth and well-lit.